Varicosities (spider or thread veins) are permanent dilations of small intradermal blood vessels in the lower limbs. Seen among both men and women, they are difficult to treat because of their diameter and variable depth. 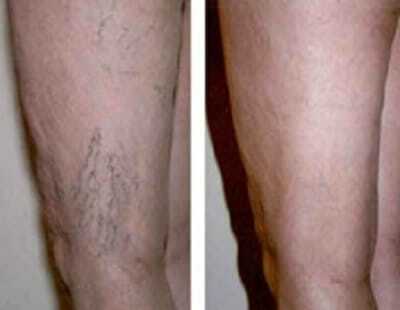 – Blue spider veins with a diameter between 0.5mm and 2mm. 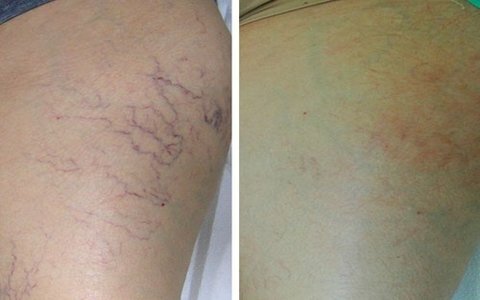 – Red spider veins with a diameter less than 0.5 mm. Some spider veins are parallel to the skin’s surface, while others go deep into the skin, linked to the hypodermic, and even intermuscular networks. The YAG LP 1064 nm laser is currently the most suitable for dealing with red and blue spider veins. Even if the laser is the treatment of choice for treating this type of damage to the legs, an initial phlebologic review with venous ‘echo-doppler’ ultrasound should be carried out before the treatment to establish any venous insufficiency. Their tiny diameter – less than 0.3mm – makes them inaccessible to even the finest needles ( 30G ½ needle ) used in micro-sclerosis. The result is not immediate but becomes visible in the following weeks. The treatment often needs two sessions at an interval of 4-6 weeks. Each session lasts on average 15-30 minutes. No anaesthetic is required, but a cold gel is placed on the skin and the laser shots follow each other, bit by bit, all along the vessel being treated. In contrast to micro-sclerosis, there are no jabs or injectable products. No plasters or dressings are needed, and there is no bruising. This is an effective treatment and less sessions are needed than by micro-sclerosis. Do not expose the treated area to the sun for a month after the treatment. – A skin wound on the area to be treated. – Evidence of proven venous insufficiency requiring prior treatment. – Certain skin types (V, VI). Erythema and a feeling of heat. 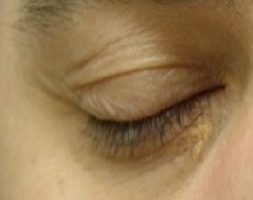 Light swelling, and temporary whiteness are visible around the area treated. On the second day, it is common for little scabs to appear. These will disappear in a few days but it is important not to pick or scratch them. 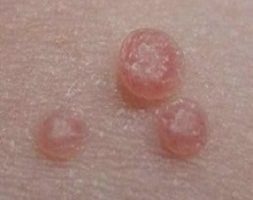 If phlyctenes (blisters) appear, you must not touch them and you must tell your doctor. Very rarely, temporary hyperpigmentation occurs which can last a few months, and even develop further if exposed to the sun. On dark skin, temporary hypopigmentation might take place. I was able to get rid of my varicosities once and for all! Pleasant and smiling Doctor. She’s been taking care of me for more than a year and I am truly satisfied. I recommend her. I had varicosities on my legs. Doctor Romano did laser sessions and now I have nothing at all! I was ashamed to wear dresses or short skirts because the vessels on my legs were too obvious. Doctor Romano did laser sessions. I’m so happy with the result. Thank you Doctor!